What is the Coach House? “for such charitable purposes for the benefit of the inhabitants of Headington Quarry and the neighbourhood thereof as the managing trustees from time to time think fit”. 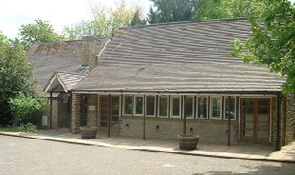 In 1993 the Coach House was built with some of the money from the bequest as a way of providing a meeting space both for the church and for local residents. The Trustees are responsible for the running of the Coach House and the administration of the remaining funds. The Coach House covers its own costs in terms of maintenance and repair. It does not belong to the church and is available as a local community hall which the church also uses on Sunday mornings. It makes a small income on the hire rental which goes straight into the “Jackson Fund” as we now tend to call it. The Jackson Fund is a registered charity and is available to support people in need within the boundaries of the parish of Headington Quarry ( click to see report and accounts). The trustees meet three times a year to consider financial requests for help and give one-off grants of anything from £100 to £1000. We get quite a few requests from local and national charities and are pleased to support charities which are actively working with people within our parish. We are also keen to support local groups who are working on community projects within our parish area. We occasionally get requests from individuals who have fallen on hard times or are facing a particular need.